Performing a BN Analysis is particularly important for engine oil, as it by design is used to control acidic combustion products by neutralising these before they can corrode engine parts. The Base Number (BN) of your lubricating oils will determine the effectiveness of controlling the acids. 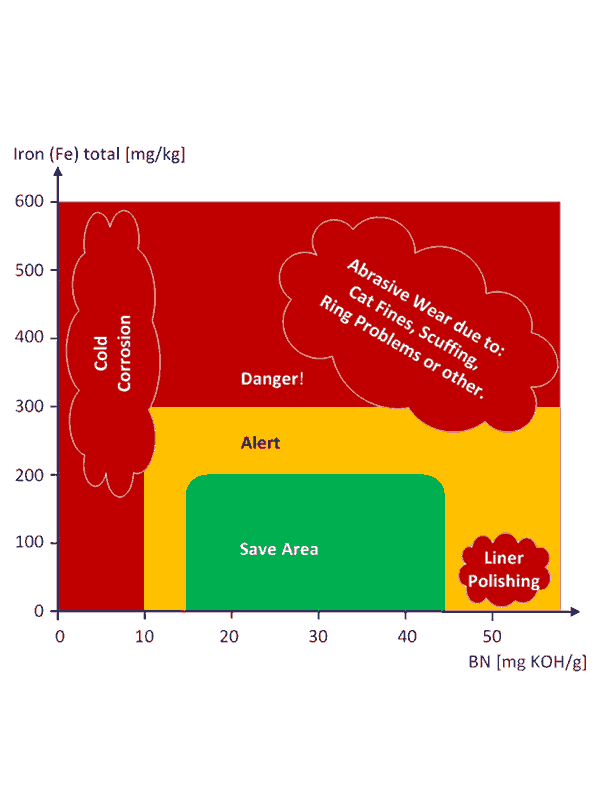 To avoid acid corrosion inside a combustion engine it is essential to maintain a certain alkalinity reserve. Additives (mostly calcium) is added to the oil to neutralize any acid which might build up during the combustion process. 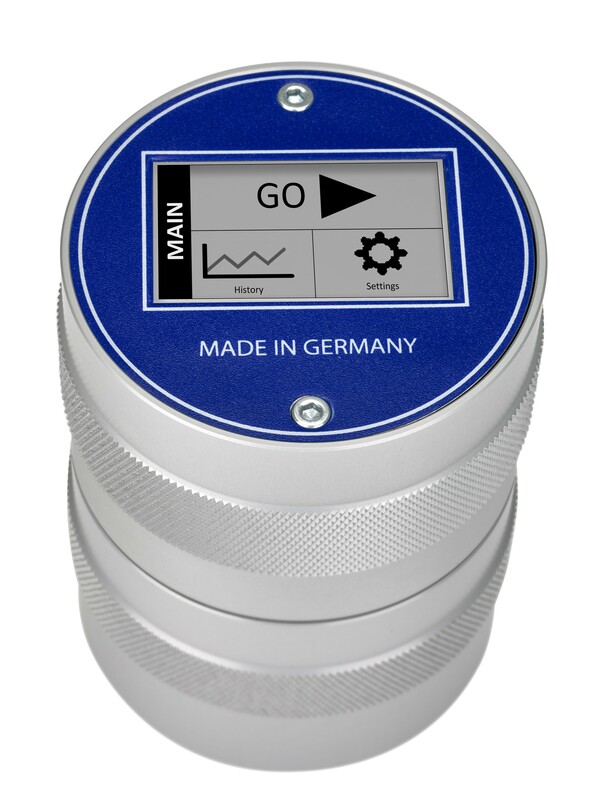 CMT´s Electronic BN Test Kit to test system oil from all kind of diesel engines. It uses a modern day digital test cell, providing quick reliable results while being user friendly and easy to operate. The reading is relative to a calibration measurement which can be stored in the device. Normally a fresh oil will be used for calibration. However, with two-stroke-engines it is advisable to do a test with an oil from the last oil analysis. This is important since the leaking cylinder oil will change the additive package and hence change the calibration. The device can store calibrations from 6 different oils as well as the last reading from each oil type. CMT´s Electronic CDO BN Test Kit to test cylinder drain oil from two stroke crosshead engines. Do not leave the condition of your engine oil to guess work - monitor the BN with the BN Test kit and stay one step ahead of corrosion. The CDO BN Test Kit does reflect in the software the fact that the drain oil can have as less as 10% of it original BN value. To measure this with acceptabel accuracy CMT has developed a special software. Replacement reagents can be ordered at short notice. 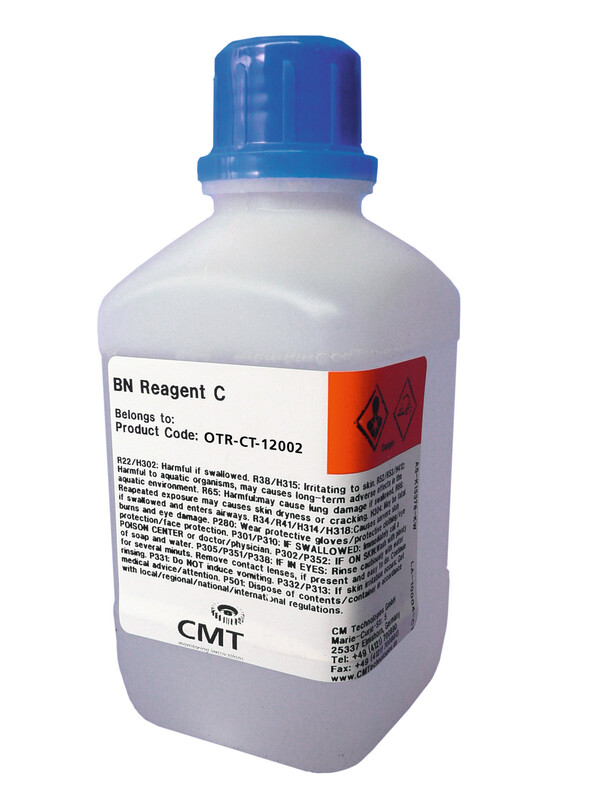 A BN Reagent pack comes with all that is needed for 50 tests. The BN reagents are not classified as hazardous for transport. If you are interested in further Information about this product please see the brochure visit our online product catalogue.